The end of the academic year brought to close yet another successful set of projects in Ryan’s CSE 145 – Embedded Systems Design Project class. The focus of the class is to let the students understand the end to end process of building an embedded system. Along the way, they also learn how to better present their project ideas, write technical documents, create promotional videos, and even how to create startups from their ideas. There were 14 projects this year. 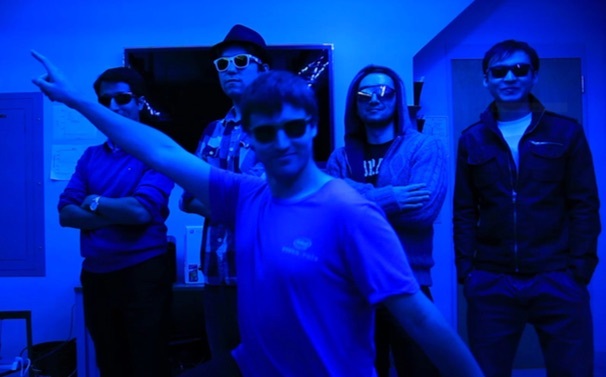 They ranged from playful (e.g., an system that automates the process of making a light show for raves — this BlueRave team is in the picture) to much more serious (e.g., a device to detect when a person is having an epileptic seizure). And there were many other projects in between. You can see all of the final videos on the class project website. Or you can learn about a few of the other projects in the news release from Calit2. A special thanks to Tiffany Fox for teaching the students how to give outstanding presentations, and providing the students with critiques on their oral presentations. And the class very much enjoyed special guest lectures from Jay Kunin (entrepreneurship), and Mike Kalichman (ethics).